Great for science fair project's. Fairly easy to construct. 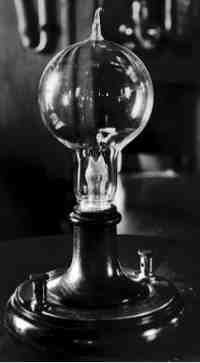 It is possible to make light bulbs that last 100 times longer using old burnt out bulbs or glass mason jars. Information that the lightbulb manufactures would not want you to know! 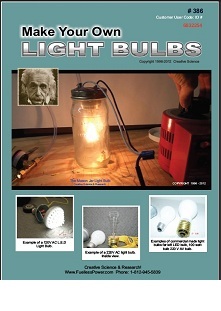 Includes How to Make LED Light Bulbs and Photo's of the Edison Bulb. Edison originally made them to last a very long time. Did you know that if you ran a light bulb on DC it will last much longer and will be more efficient than running them on AC. Most people do not know that. By simply connecting a 200 v diode or diodes in the light circuit will cause the bulb to run on DC. Convert all the lamps in your whole house. There is also another method which is great for emergencies, By using super bright white L.E.D's you can have emergency lighting that will not burn out for about 50 to 60 years. Super bright white L.E.D's are the lighting of the future. Build a smaller version of our SP500 DC low rpm generator and use as a hand crank to light your whole house using L.E.D white bulbs. 3 to 5 volt operation and because the L.E.D's are super high efficient, the batteries can last for many days with out a hand crank generator recharging them. The Sp500 Generator can be used with a large metal or concrete flywheel and will be very easy and effortlessly to operate. Great for 3rd world countries and abroad! 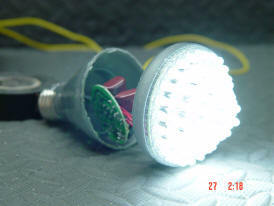 Make Your Own Light Bulbs!